Dr Crescenzo’s special technique of closed rhinoplasty and nose reshaping under local anesthesia and sedation is the most sought after and least invasive rhinoplasty procedure in Dubai. Patient requests include removing a hump, minimizing the tip, narrowing nostril width, changing the angle between the nose and the mouth, or corrective surgery. Rhinoplasty surgery is a very popular cosmetic procedure performed by surgeons in the region. Our surgeon understands the requirements of patients, and how to achieve a well-structured nose that blends with the patient’s highlighted features. Rhinoplasty surgery is performed either using a closed procedure, where the incisions are made inside of the nose, or an open procedure, where cuts are made across the columella. The experienced surgeon will then raise the soft tissues that cover the nose through these incisions. This provides access to reshape the structure of the nose. The nasal structure is reduced or reshaped using the cartilage grafted from other areas of the patient’s body. These pieces of cartilage can come from the septum or occasionally from the ear or the rib cartilage. If the septum deviated, this should straighten it. Apart from this, any ridges inside the nose will be reduced, to improve breathing as a result. Thereafter, once the underlying structure of the nose is sculpted, the nasal skin and tissue are re-shaped and the incisions are then closed. A cast or support will be placed after the procedure for recovery purposes. The surgery is performed under local or general anesthesia, depending on the surgical procedure. Even though this is a very modern and widespread procedure, many people are still not very confident, about undergoing such a life changing procedure, as they for fear that the results would be unfavorable or not as what was expected. However, finding the best surgeon in Dubai is the key to a successful Rhinoplasty surgery. Many patients who undergo Rhinoplasty surgery in Dubai, find that the results are satisfactory, impressive and life changing and increases their level of confidence and boost their self-esteem. 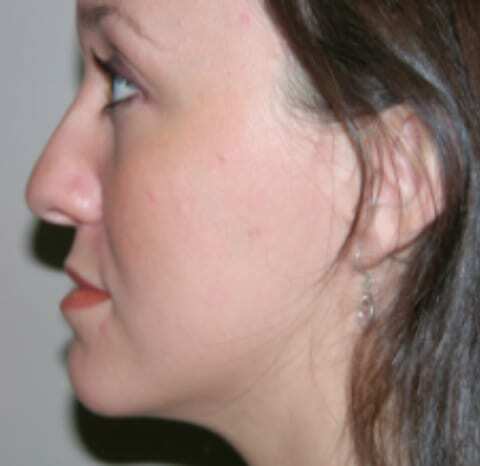 Who makes a good candidate for Rhinoplasty? Rhinoplasty surgery can be also performed as an outpatient treatment and the duration of the procedure will depend on the type of surgery that is performed. The recovery process can take time, like any other surgery. Patients will experience difficulty in breathing for the first 24 hours, due to swelling in the nasal passage. There may be some discomfort, which can be controlled with pain medication prescribed. There may also be limited bleeding during the first few days and it is recommended that a cold compress (ice bag or frozen peas) should be held to the nose to reduce swelling. The head should be kept elevated for the first 24 hours, especially during sleeping hours. After a week, the cast or splint is removed by professional surgeons. Complete results of a rhinoplasty surgery are not immediately recognized or noticeable and can take up to one year to be fully evident. The decision to have cosmetic surgery done is an important and personal decision; you should first consult with our board of certified plastic surgeons before making a final decision and we assure the best of advice. A rhinoplasty, is commonly referred to as a nose job in modern society. It is a surgical procedure that is implemented to change the structure, shape or look of a nose or, even improve its passage function due to trauma or birth defects. Rhinoplasty surgery in Dubai is a generally a very safe surgical procedure. The most common risks during the procedure are infection post-surgery, adverse reaction to the anesthesia, and excessive bleeding post-surgery. There is also the small chance that you will need additional surgery in the future. Another common risk with regards to cosmetic rhinoplasty is that you may be unsatisfied with the procedure and it is widely known that rhinoplasty has the highest rate of amendment in cosmetic surgery. How can I prepare myself for rhinoplasty? Prior to the procedure, your surgeon will go over the lifelike expectations of surgery. The surgeon will define what needs to be done and the most appropriate procedures to use in order to meet your expectations. As far as what you can do to prepare for your rhinoplasty, we highly recommend that you do not take any medications that may cause blood clotting or cause severe postoperative bleeding difficulties We also recommend patients to stop smoking at least a month prior to the surgery. Smoking slows down the recovery process and due to its unhealthy toxins we always recommend to quit smoking prior to surgical procedures. 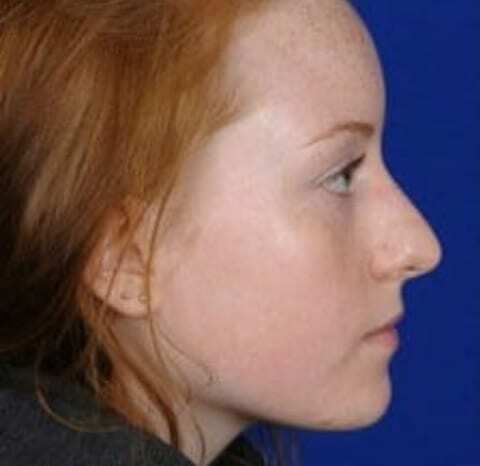 What is the recovery time following rhinoplasty? Your surgeon will require you to wear a nasal strap for the first week after your rhinoplasty surgery. Following surgery, you may have adequate swelling and bruising around your eyes and nose that could last up to two weeks. You should refrain from, any strenuous activity for up to four weeks after your surgery; followed closely by your physician, who will let you know when it’s safe for you to return to your daily routine. 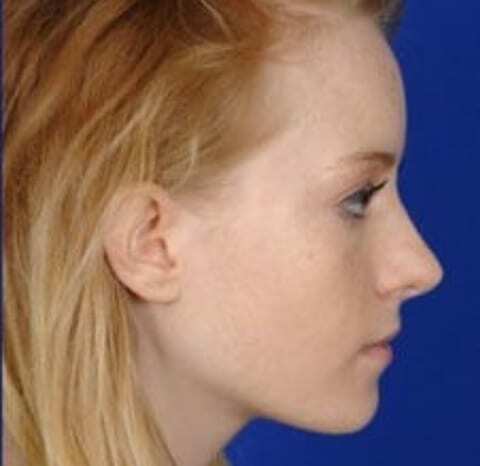 What can I expect after rhinoplasty surgery? Outcomes from a rhinoplasty surgery can classically be seen after the swelling goes down and once your physician removes the nasal strap. You may find breathing a bit difficult for about 3 weeks after the surgery due to swelling in the passage. The swelling is expected to completely recede in 2 months or less. Following the healing of the bruises, you should be able to see the nose looking more refined and contoured to your requirements. What are the alternatives to rhinoplasty? When it comes to alternatives to rhinoplasty surgery in Dubai, there are none. But if you are considering an option to improve your breathing you can try using nasal strips as a non-surgical option of correcting the problem. Will I require having any post-procedure touch-ups? Because rhinoplasty surgery is a common, yet complicated procedure and the nasal passage swells during the procedure, there is a chance you may need to have some post-surgery touch- ups. 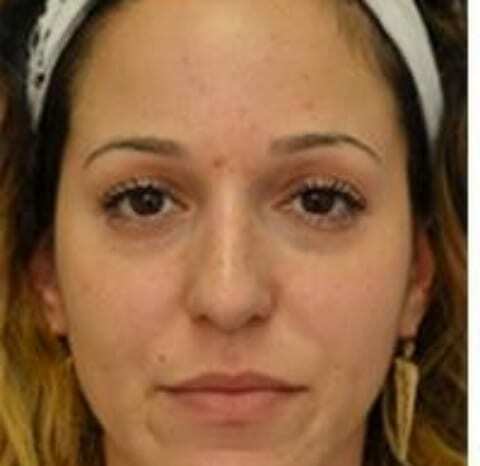 About 15 percent of patients with rhinoplasty surgeries require touch-up procedures. How can I protect my surgically re done nose from injury? An ultra-light, skin-colored,aluminum splint protects your new nose until the stitches are removed by your surgeon. You will be guided on aftercare by your surgeon, following the removal of the splint and stitches. It is very important to follow your surgeon’s aftercare guide following the surgery to maintain a complex free recovery. Rhinoplasty surgery takes between two to six hours, depending on the patient’s requirements and complexity of the procedure. Once the surgery is complete, you will be monitored sometime following aftereffects of anesthesia and then discharged for recovery at home. Am I old enough for Rhinoplasty surgery? Rhinoplasty surgery in Dubai should not be performed on younger patients until their nasal passage and nose have both completed growing. The nose tends to be fully grown around the age of 14 for girls and a bit later for boys. We recommend an age above 16 years for the procedure following consent of a guardian below the age of 18.